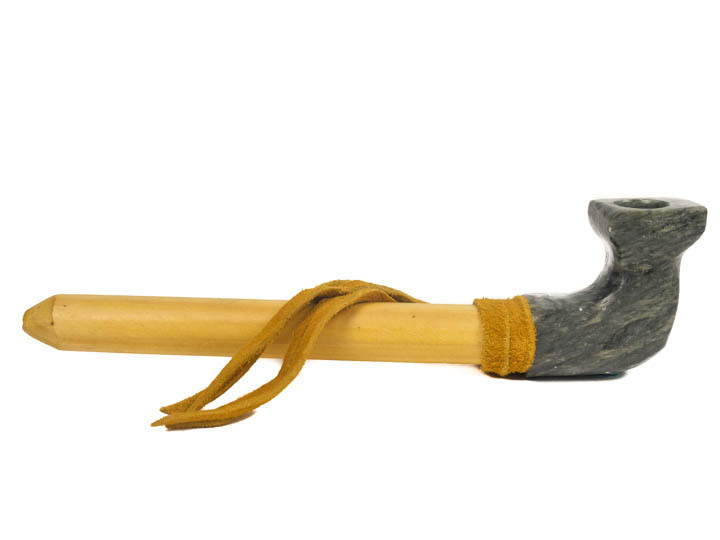 These are Native-made Iroquois peace pipes and calumet pipes made from soapstone and antler. 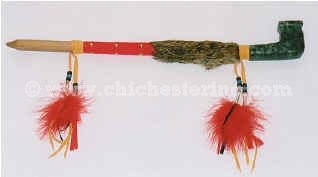 They are decorated by leather ties and wraps, rabbit furskin, beads, and feathers. 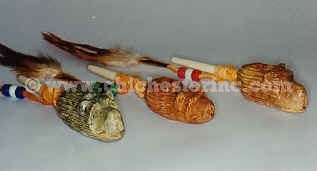 These pipes come with leather ties, beads and feathers. 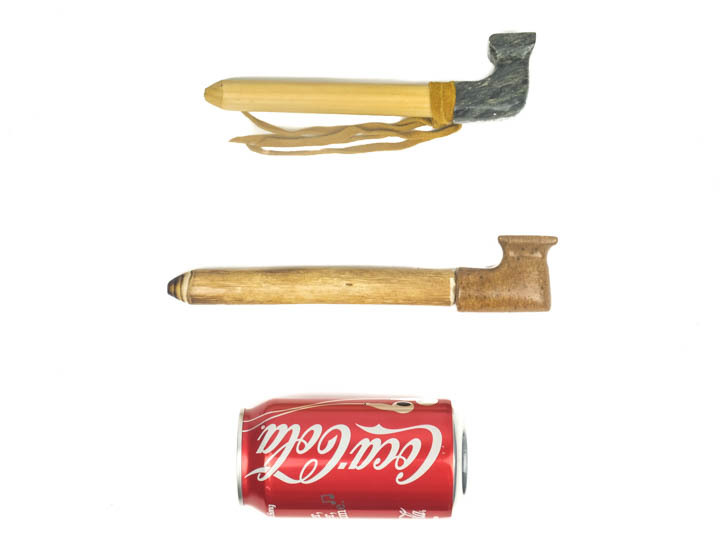 These may come with or without leather ties. 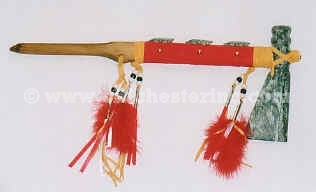 These pipes come with leather ties and beads. 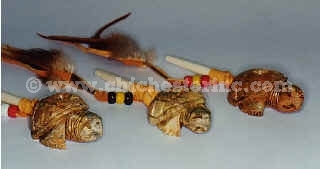 These pipes come with leather ties, beads and feathers. 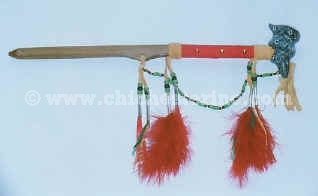 It is wrapped with a rabbit fur piece and dyed leather, and has a fancy blade. 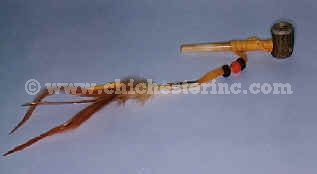 These pipes come with leather ties, beads and feathers. 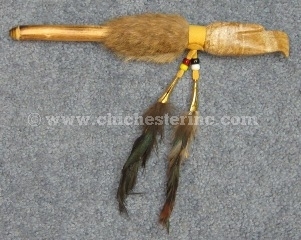 It is wrapped with a rabbit fur piece and dyed leather. 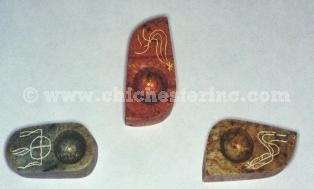 Etched with various designs. 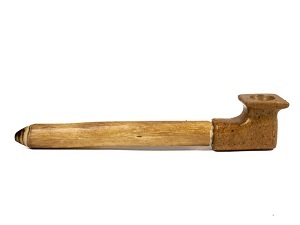 Most are beige while others may be other colors such as gray. 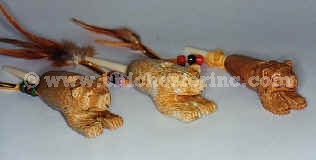 We will send you an assortment. Let us know if you need specific colors and/or designs.